Employee retention is critical for all organisations, big or small. To achieve this successfully, you need to make sure that your employees are engaged. The best ways to retain your employees, any organisation must also be able to examine the fundamental reasons for employee turnover. As a human resources professional, you must break down any existing barriers that exist with your staff. This article helps you identify some of the key reasons that may be making your employees disillusioned or disengaged in any way. We focus on the seven reasons for employee turnover, which are; the need for proper expectations, the need to feel competent, the need to have hope, to grow, the need to feel a sense of worth, the need for family life, and the necessity of trust between the employer & employees. Many employers scratch their head at their higher than normal turnover rate without ever digging deeper and analyzing their job description, hiring practice, signed contracts, and even psychological contracts for ways to improve. The employer failed to set the correct expectations through an effective job description, therefore, making the new hire feel somewhat deceived. Even if the new hire decides to stay the motivation level tends to be lower, and the same goes for productivity. Many employers also fail to have an effective hiring system by depending on a single or a few hiring managers for the process. The problem lies in the fact that many hiring managers tend to be dissociated with the real-world tasks of the day to day employee, therefore, may paint an unrealistic job description. The solution is having teammates integrated within the hiring system to ensure a more accurate assessment of the needs and competencies as well as a greater incentive for the new hire to join the team because they see that their opinion counts. • Constantly look for new talents and keep existing skills, and then track the quality of hires, not just the cost-per-hire. • Other things that can be done to enhance the quality of new talents further are; Entrance interviews to uncover strengths, Work to enrich employee jobs, and continually challenge employees by delegating tasks to provide a more meaningful role within the company. Coaching is critical for providing direction to employees and answering the four key questions; Where is the company going? How are we going to get there? How can I contribute? and How am I doing?. All these questions help employees align with corporate goals and expectations and foster an active, engaging environment. Effective coaching has six critical elements that will briefly be discussed. • The first is to provide fast feedback and coaching through pro-active and upfront expectations. • Secondly, you should create a culture of continuous feedback. • The third is always be training and learning performance coaching. The fourth is to build a partnership rather than a controlling relationship for performance coaching. The fifth is to terminate non-performers and commit to valuable performers. And finally, all managers are accountable to performance coaching through upward evaluation through employee feedback. Reason 4: Lack of growth and advancement opportunities within the organisation. This almost goes without saying, if an employee does not see a future in the company they will start looking elsewhere. Nobody wants to spend many years in the same position As an organization your most valuable human capital should be grown and nurtured. To satisfy the need for employee growth in this day of corporate downsizing and cost reduction companies should provide self-assessment tools and career self-management training. • Companies could offer career coaching, have readily available information on career paths and competency requirements, and create an alternative to traditional career ladders. Furthermore, companies should keep employees should be kept informed about your constantly evolving market and maintain a fair and efficient job posting process. • Most importantly companies should hire from within to ensure employees have a sense of growth. Show a clear preference for hiring from within. Eliminate any HR policies or procedures that block the internal hiring process or block efficiencies. Most importantly a company should create a mentor and mentee culture where managers and teammates help each other gain new skills required for desired positions. 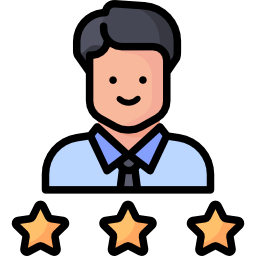 • Companies should also have an efficient review process for talent; this means that even individuals who are not necessarily talented but form a backbone for the organization have an opportunity. Train your employees regularly to further their skill sets and keep their internal desire for challenge and growth. The last thing an employee needs to feel like is a number or an expendable property of the company. The balance of rewarding positive behavior is tricky because it needs to be done in a timely fashion or in the correct proportion to be effective. It is very common for managers not to know how to acknowledge employees effectively. Many adopt the “if you don’t hear from me then you are doing great.” management style. Other managers just simply have no idea about average and superior performance, therefore, shy away from recognition altogether. • Companies should offer a competitive base pay linked to value creation; this could mean that a lower-rank employee could potentially make more than his manager. Reward results with variable pay associated with business goals, this creates a reciprocal link between company success and employee success. Reward employees through variable pay at a high enough level in proportion to the difficulty of the tasks given. • Employers could pay immediate cash rewards for performance benchmarks by reserving 1-2% of the base pay. Include employees when designing compensation systems, this has been proven to increase job satisfaction. Organizations should create a positive culture of thankfulness, and this means employees are nominating each other for awards. • It is paramount to provide the right tools and resources, the right tools at the right times are investments and not costs. Most importantly keep the work environment clean and organized, this means it is not too noisy, messy, cold, unsafe, etc. Try not to lose an employee over something that could have been easily addressed. Reason 6: The need for family, lack of which can impact work-life balance. Stress from overwork and a work-life imbalance create an unyielding reason for an employee to leave. Workers will stress when they have to sacrifice family time to work extra hours or when they need a personal day off that is not allowed in the company. The key focus of organizations is to promote a culture of giving before getting to avoid a perception of imbalance. • Create a culture of giving and reward the top employees with perks such as extra holidays, more office space, etc. Create team-based initiatives to build social harmony and relationships. • Most importantly create a fun work environment, this is perhaps the most effective stress buster. Whether planned or unplanned foster an environment that promotes a positive and fun atmosphere. The loss of confidence and faith in a senior leader within the organization can be a good reason why an employee may leave. Top leaders carry confidence and integrity of the whole organization on their shoulders. In this day and, age it can be tough for leaders and managers to satisfy this need due to the negative image many employees already have when joining a company. Whether this is inherited from a previous position or excited by the media, an organization must work to maintain trust and confidence of its employees. • Methods to deal with this is to inspire confidence through a clear vision, a workable plan, and a practical process to achieve it. The first and critical component of trust is competence. Therefore a plan or vision without ability is bound for failure. • Leaders should back up words with actions; this creates a behavior that is consistent with the work. Consistent actions congruent with the words being spoken leads to a high level of trust. Avoid all cynicism and disengagement, for example, to not preach about quality and push employees to finish their tasks faster than it takes to do it properly. • Finally, the most important step to building an organization with a high level of trust and confidence is to empower them with trust. Trusting your workforce through actual policies that prevent authoritarian and micromanaging helps enable not just the workforce but the entire organization. When you give that kind of power away, you allow everyone the confidence to overcome more challenges thus increasing the overall success in the long-run. With A skill & engagement assessment platform, you may be able to identify how well engaged your employees are & we can help them reach the next stage. Are there any more reasons that you believe lead to disengagement of your employees? Share with us in the comments.